The long-awaited Comprehensive Care for Joint Replacement initiative (CJR) became reality on April 1, 2016. Under CJR, hospitals must find ways to rein in costs, reduce complications and improve patient outcomes for hip and knee replacements—the most common joint-replacement procedures—in order to receive maximum reimbursements from the Centers for Medicare & Medicaid Services (CMS). 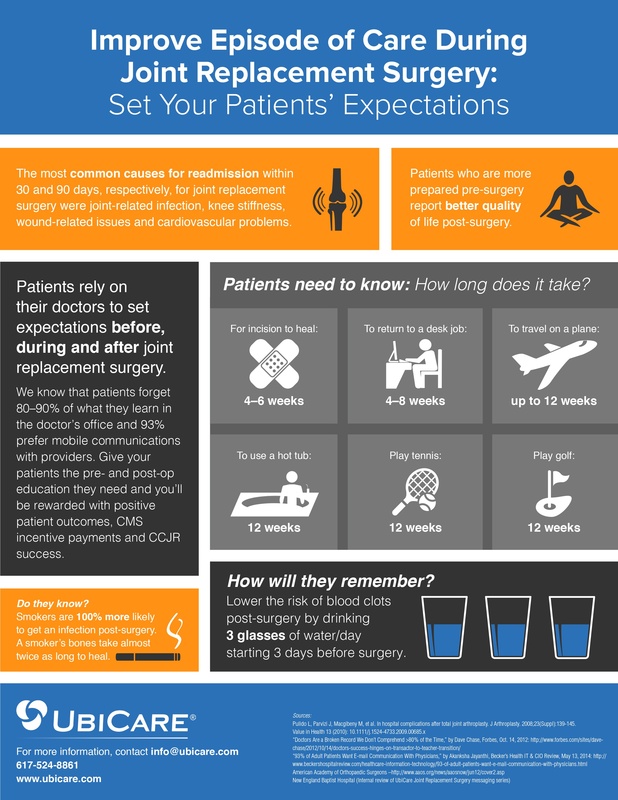 Improving the patient experience with rehabilitation and recovery after joint surgery counts big in CMS’s new Comprehensive Care for Joint Replacement (CJR) payment model. So it behooves hospitals to manage patient expectations about their discharge destination and rehab care as early in the care episode as possible. Setting expectations early is shown to improve patients' episodes of care, improve patient outcomes and reduce readmission rates. It also prepares your hospital for Centers for Medicare & Medicaid Services (CMS) initiatives like Comprehensive Care for Joint Replacement (CJR).